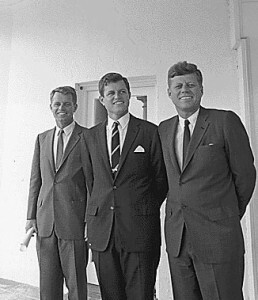 Ted Kennedy died earlier today. The NY Times, Wall Street Journal and Washington Post have all published moving tributes to him. There’s also an article that might get lost in the shuffle, but should not since it is a significant comment on the current debate on health-care reform. The US lags behind most developed countries on measures of public health and the cost-effectiveness of health-care delivered. One area, though, in which the US system leads others is in treating cancer. This is in large part due to cancer research funding from the federal government, i.e. government intervention in health-care. The American Cancer Society published a tribute to Kennedy lauding his work as a supporter of research on cancer. This reminds me of the role Al Gore played in the Senate when the Internet and networked technologies were in their infancy, a role acknowledged by true Internet pioneers. Sometimes, a senator’s pet project can be a visionary success. Often, it’s a bridge to nowhere. Next Next post: Health Care Reform which puts the consumer and results first.